National Baseball Hall of Fame and Museum Edition - Generation Two OYO minifigure. 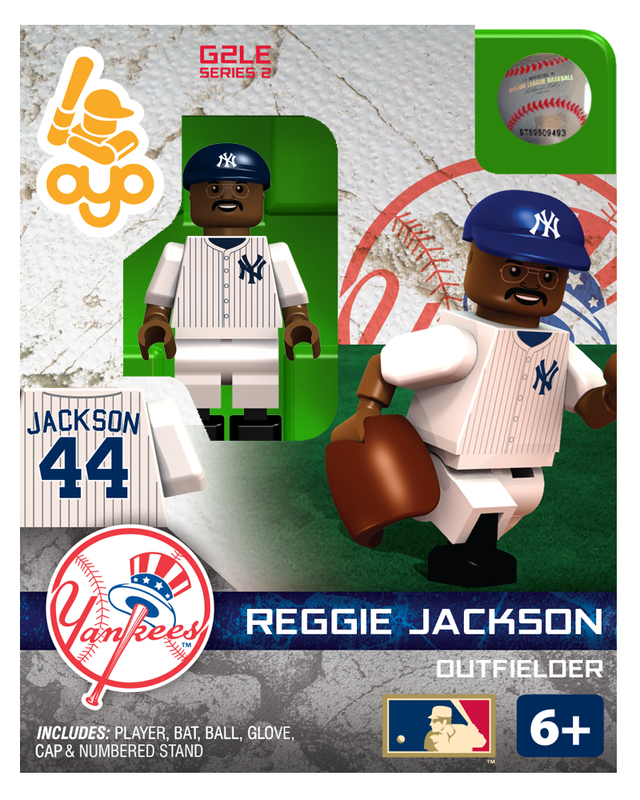 Reggie Jackson earned the nickname Mr. October for his World Series heroics with both the A's and Yankees. In 27 Fall Classic games, he amassed 10 home runs -- including four in consecutive at-bats -- 24 RBIs and a .357 batting average. 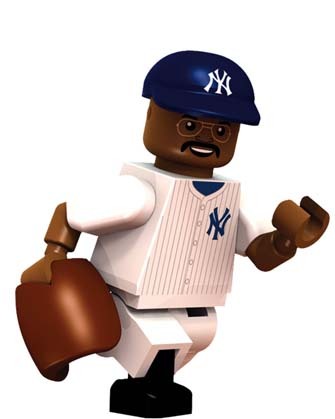 As one of the game's premier power hitters, he blasted 563 career round-trippers. 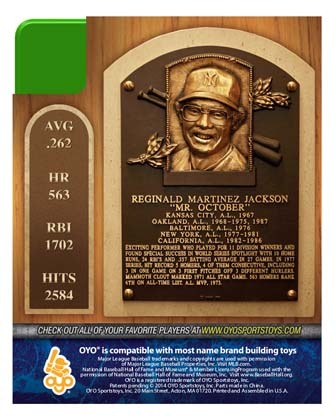 A terrific player in the clutch and an intimidating cleanup hitter, Jackson compiled a lifetime slugging percentage of .490 and earned American League MVP honors in 1973. Mr. October. World Series champ and Hall of Famer. Need to get him in an A’s uniform too. My son plays with the baseball characters on an OYO field.